In year 2014, it’s already well known that benefits enhance the productivity and morale of employees, and the best examples are companies like Google, Microsoft, Facebook, and Yahoo. There are some companies other than above-mentioned, that really know how to engage their staff providing cool benefits. This is a list of the most interesting benefits and the companies that offer them. 1. MillerCoors - Employees of the company that manufactures beer, test the product after working hours in pubs in Chicago and Milwaukee. Even 13 kinds of beers are available to MillerCoors’ employees. 2. Zappos.com - More than 2,000 employees of the company that sells shoes online have at their disposal a life coach every working day from 9am to 17pm. Great isn’t it? 3. S. C. Johnson - Company engaged in cleaning products, offer its 12 0000 employees assistant services to perform their daily duties, from returning books to the library to go to dry cleaners. 4. 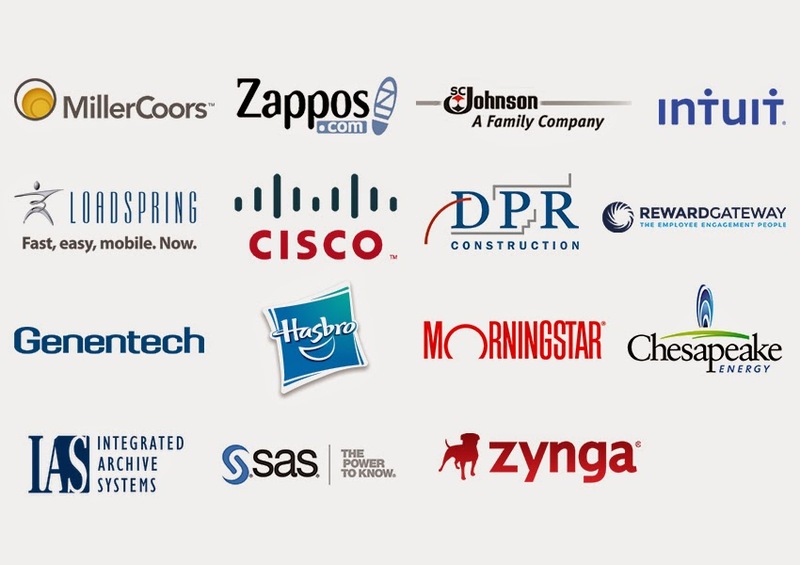 Intuit - The Californian software company has 7,000 employees and last year generated profits of 7.5 billion dollars. This sum might not have been so great if employees were not given vouchers of $350 for dance, pilates or gym. 5. Loadspring Solutions - This project management company gives its employees $5,000 and an additional week of vacation if you travel abroad. Not surprisingly, the profit of the company for the past six years has risen 75%. 6. Cisco - Californian technology company, whose annual income is 42 billion US dollars, provide its employees car services twice a week. 7. DPR Constructions - Building company allows consumption of wine in all 17 offices in Redwood City, California, and in Austin, Texas is located a shop for wine. 8. Reward Gateway – The UK based company deals with employee engagement itself. For its employees across 3 continents and 6 offices enables lottery once per month. 9. Genentech - Biotech company enables keeping the dogs of busy employees, and there are even 11,600. Forbes ranked this company as first in 2006 for its list of best employers. 10. Mattel and Hasbro - This toy manufacturer obviously knows how to play because its employees are working part-time every Friday through the whole year. 11. Morningstar - The leading company in the field of independent investment research provides its employees holidays for a period of six weeks every four years. 12. Chesapeake - The second largest US natural gas producer, which last year made a profit of $8 billion, offers free diving course as a benefit. 13. IAS - Employees of the company that deals with green IT solutions, receive a grant of $10,000 for the purchase of hybrid vehicles. 14. SAS Institute - This software company offer employees all beauty and hair services, so they have no excuses to come to work messy. 15. Zynga - The director of this popular company for its 1,300 employees once a month, organize a poker night with a professional staff and a lot of interesting prizes. All these benefits are cool right? Do you have another example of organization that boosts employee engagement with non-standard benefits? Even maybe in the company you work for? Share it with us!